Paranormal Pop Culture: NatGeo's 'American Blackout' A Scary Movie That Could Happen? 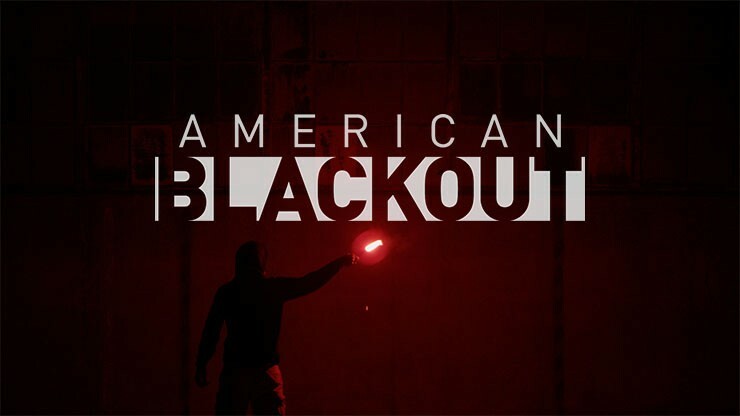 NatGeo's 'American Blackout' A Scary Movie That Could Happen? What does it mean to be powerless? That question is at the center of American Blackout, a new found-footage style suspense/horror movie from National Geographic Channel that imagines 10 days of a nationwide power outage caused by a devastating cyber-attack. Airing Oct. 27 at 9 p.m. ET, Blackout utilizes a combination of user-generated content culled from online, actual news reports and scripted scenes to dramatize a frighteningly realistic disaster. Much of the film's narrative revolves around a variety of survivors documenting the blackout, and their rapidly deteriorating situations, on their cell phones and flip cams. There is a young, affluent couple in a New York City penthouse who only have credit cards and electric can openers; a teen vlogger left to his own devices while his mom works at a hospital; a little girl in the suburbs with a pregnant mom; a trio of college students stuck in their dorm's elevator after the end of the academic year; and the pre-teen son of a prepper family, who has escaped with his parents and sister's boyfriend to their "bug out" compound. American Blackout is unnerving and, at times, downright scary (and yes, there's at least one good jump scene). The news footage and modern setting give the story a sense of place and time. Moreso than most apocalyptic movies or even a standard episode of The Walking Dead, this feels as if it could happen on any average day - or even this afternoon. At a panel following the screening of the film at National Geographic's offices in Washington, D.C., last Monday, former deputy of Homeland Security Jane Holl Lute called Blackout an "extreme" but that "we're not nearly as prepared as we need to be." Meanwhile Michael Hayden, retired general and former director of the NSA and CIA, said the movie's catastrophe is "not very likely" but said we don't know how big of a risk a cyber-attack is. Panelist Robert Bristow, Medical Director of Emergency Management at New York Presbyterian Hospital, said most hospitals have a plan to sustain services for about 96 hours without needing external assistance, but then they'd require help. Lute added that there is an old saying among first responders that the "first 72 is on you," and that many people don't have the capability to withstand 72 hours in case emergency services cannot reach them. Scott Aaronson, Senior Director of National Security Policy at Edison Electric Institute added that cyber is relatively new as a critical infrastructure - which moderator Matthew L. Wald of The New York Times said made it the "glass jaw of American life" - but that his industry is working hard on risk management. As a result, Hayden added that security experts have a challenging time articulating the extent of a cyber-threat. Hayden also said he was "fearful," not of aggressive nation states launching a cyber-attack of the scale shown in the movie, but of those that come from "disaffected individuals with undefined, unsatisfiable demands." All of these ideas are reinforced in "American Blackout" through factoids occasionally flashed on screen. 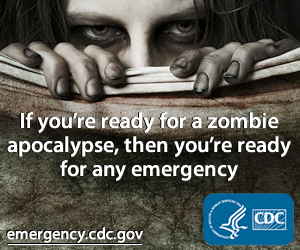 They send a clear message: Many of the systems we rely on daily are out of date and vulnerable if the grid goes down. Elevators and traffic lights have little-to-no back-up power. Our food supply chain, and fuel supply, can be easily interrupted. Something as simple as clean water, or the lack thereof, might lead to escalating violence between neighbors. Plus - be it cause by Mother Nature or humans -- most Americans just aren't prepared to deal with even a small-scale interruption in services, much less a larger disaster that interrupts power. This all makes American Blackout especially effective even though, like many good scary movies, it escalates the threat level for maximum effect. While entertainment, it does inspire some real-world examination. And by the end, it leaves the viewer wondering what it means to be powerless - and makes you want to take inventory on how many batteries or gallons of water you have around.